The Dolphin House Gallery has been established in Colyton for many years now. 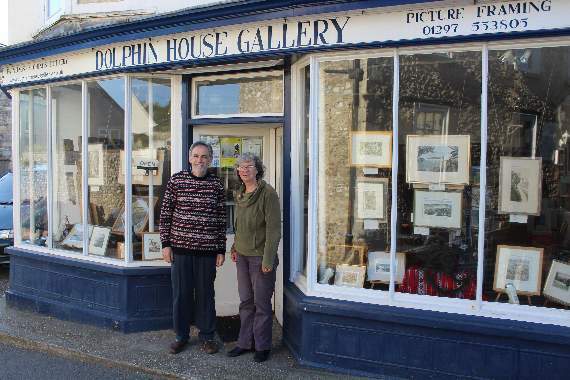 Roger St Barbe Laughton and Emma Laughton are the proprietors of Dolphin House Gallery. The Gallery opened in 1990 as a new venue in East Devon for original works of art by contemporary artists. Since then we have held many successful exhibitions of paintings, original prints, textiles, ceramics, etc. produced in the West Country and elsewhere. They offer a full framing service to a very high standard at very reasonable prices. The frames are made on the premises in the Dolphin House workshops, with over two decades’ experience. 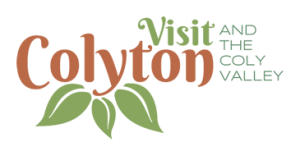 Paintings, pastels, photographs, needlework – their expertise covers all of these and more. They are delighted to offer advice and if you bring your picture in, they will give a fixed quotation for anything from the simplest photo frame to large hand-finished frames. A quick service for those in the region for only a few days is usually no problem. Finally, Roger’s pictures feature all over this website and have inspired the whole design.